Lexus International is charged with building and maintaining a global luxury lifestyle brand. 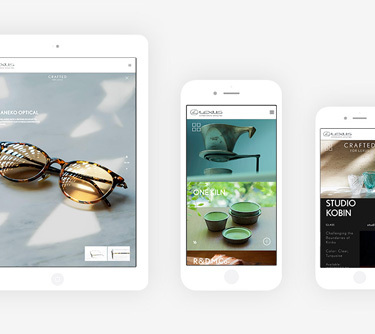 We’ve partnered with them for almost a decade, creating world class stories about the brand and its products, and optimizing the digital platforms for them to be expressed. We also work with their offices around the world to establish consistent and relevant marketing strategy for their local campaigns. 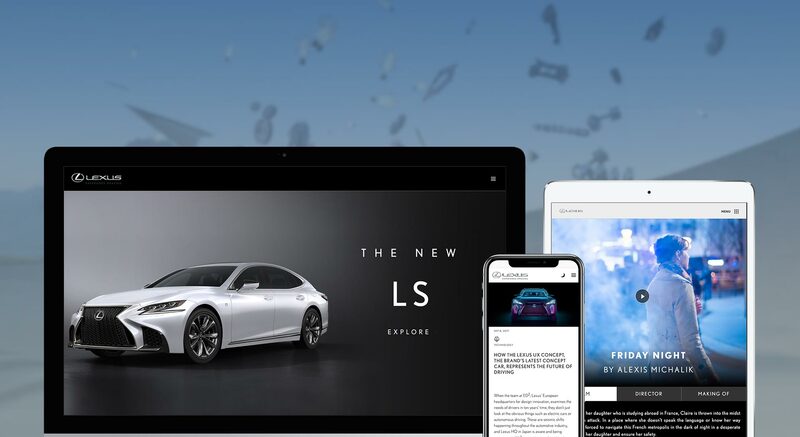 Take a look at some of the highlights from lexus-int.com, below. 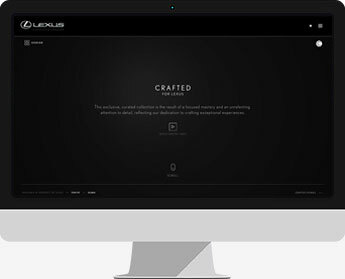 The LEXUS DESIGN EVENT is the culmination of the brand’s design activity calendar. It takes place every year during Salone Milano in Italy, celebrating design as a key principle of the Lexus story. This web-site brings that event experience to life for the rest of the world. 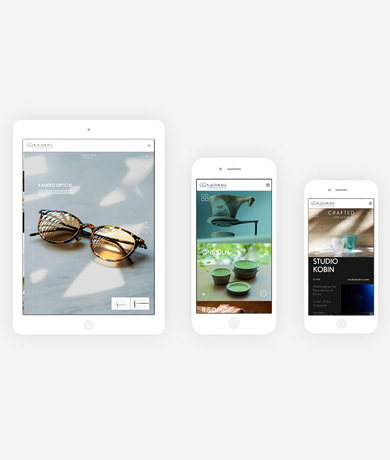 A mobile-first design echoes the live experience, the site ‘invites’ you in and features mobile-optimized navigation by horizontal thumb-swipe action. Users are invited to explore in depth at key destinations throughout the journey. 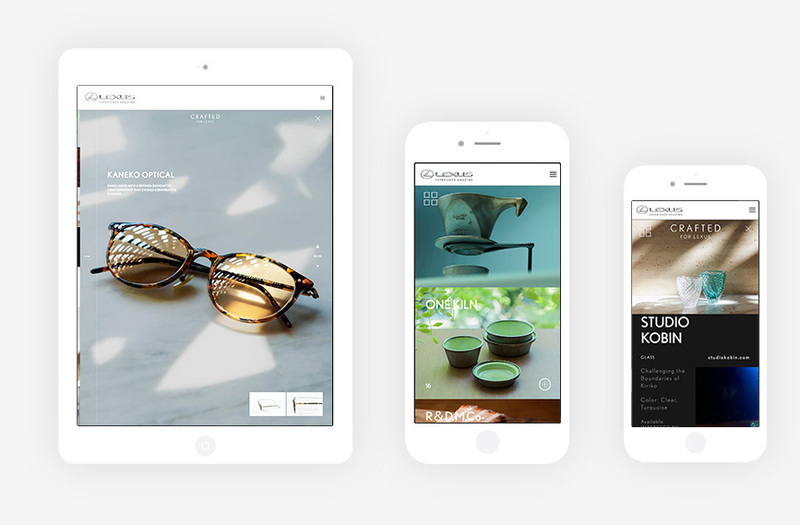 Content is active with video and other non-static media integrated into the site design. Lexus-commissioned, hand-crafted products by dedicated artisans illustrate a value core to the brand – Japanese Takumi craftsmanship. 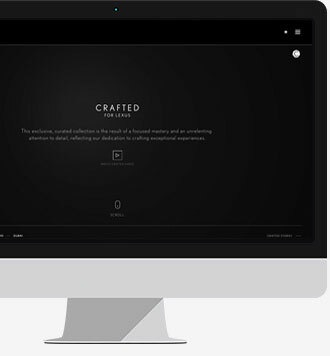 This website tells that story with an innovative flow. 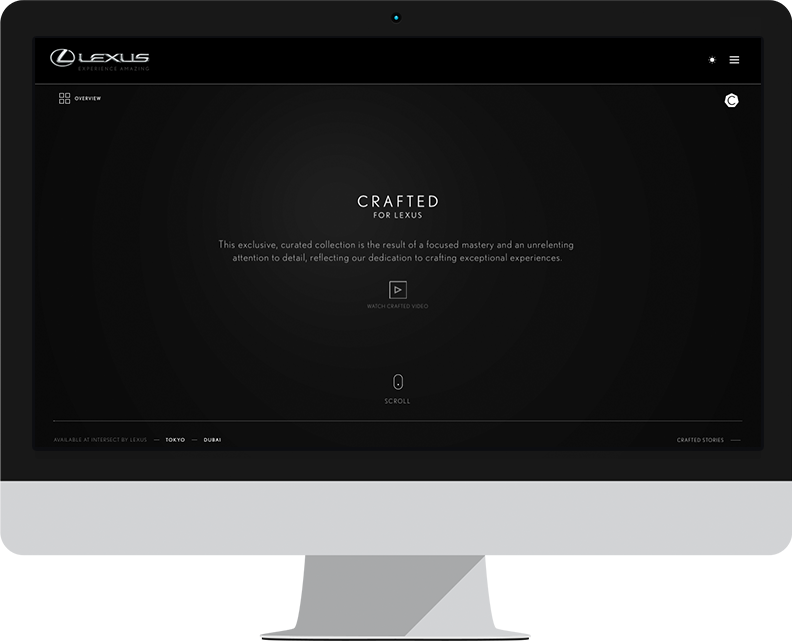 CRAFTED FOR LEXUS plays out against a canvas of materials used in craft – brushed metal, textiles and stone – with a soft light source tracking movement. The crafted items get the full-screen treatment, and the story behind their creation including making-of visuals.